This entry was posted on Friday, December 30th, 2011 at 11:09 pm and is filed under Weather. You can follow any responses to this entry through the RSS 2.0 feed. Both comments and pings are currently closed. 80 Responses to Happy New Year! 2012… Weather MUST be gett’n exciting sometime soon! Hahaha I wonder what Herald Camping is gonna say when all we get is SUN on Dec 21st. HAPPY NEW YEAR EVERYONE! Mark I hope you had a great new years eve! Remember a few weeks ago you were sliding on the ice with your new snow tires studless…Were they Les S brand? Or Blizzacks? for artic blast for PNW Won’t know if moisture is coming with it or not till we get closer but a true Polar event! 12z puts the meat back on the menu! I’d say more like a gardenburger…it only has one surge of cool and dry with high pressure around day 12, then only slightly cooler than average, with onshore flow, beyond that. But still better than the vegan option I suppose. I’ll go ahead and say it… Winter Fail 2011/2012. The moderate to strong offshore gradient persists tonight…and could even get a little stronger as a splitting weather system approaches the coast. Last time it gusted to 72 on the sensor it was 87 on the steps…it’s going to be the strongest of the season up there today. Maybe gusts 90-100. @ Tyler…I work for Thriftway, Just got done w/ backroom inventory! Now I can celebrate! 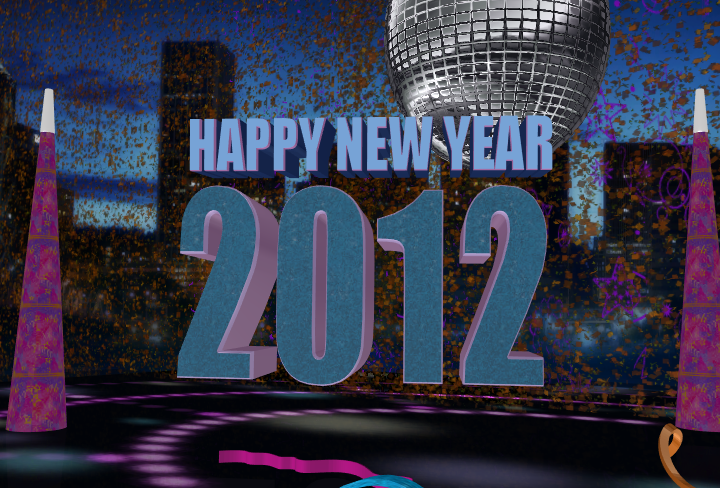 HAPPY NEW YEAR…2012! Yahoo, HAPPY NEW YEAR! I’m headed back to work here in not too long. New house for us in E. Washougal and trouble sleeping with the ripping wind tonight…any idea on these gusts over here??? to 65 miles per hour at Corbett or Rooster Rock by late afternoon. Body Bracing time, folks…HAPPY NEW YEAR!!! I’m at work doing inventory….CELEBRATE GOOD TIMES C’MON!!!! ¡ Feliz y Prosperous Año Nuevo! In Central OR this weekend…crowded as ever at Bachelor….great day to ski. 18z GFS was a bit of a stinker..then again it has a nice block over N G of AK which is a must for eventual big time cold here. Hopefully tonights runs show something decent…like a 508 dm upper low dropping S on 1/16…just in time for a 23/2 day in EUG 1/18. Apparently everyone is out partying, or enjoying family/friends. Ugh…the 00z GFS and ECMWF take away the cold air in the next 10+ days. As I don’t see this changing enough in the next 6 hours to change the ranks. 2011 will rank as the 3rd driest December since records began in 1930. It would probably be the 4th driest if there were records from 1877. Perhaps the Tualatin could weigh in? Jan.79 was my favorite Arctic event, not a lot of snow but it was cold all month. If we get 1976-77 again….find a cliff, Many also remember Feb. of 89. …we coulda been a contender…. What’s up with Crown Point? Did it get spun around 180 degrees? Lucky for us, it has spun back. Must have spun around when it gave that reading. Breezy to gusty at Vista House. Still nothing to get too excited about unfortunately. 06z was an ideal run with numerous days of snow and cold. 12z pushed it back a day or so with not as good of flow, and 18z is just about nothing good. So… looks like we wait another day or two to see if some sort of agreement starts lining up. Seriously though, maybe Feb-March time frame will work out for us this year? I’d have to say that until the GFS and ECMWF models start agreeing with each other, I’m not going to get excited about anything either of them says. Particularly 10 or more days out. Im pretty sure that this winter is not going to be a bust…my gut feeling is telling me that its taking its ohhh sweet time to get the ball rolling. Portland will get some winter weather, I have no doubt. Just let old man winter catch up, he’s gettin to be reeeeallly old these days haha. Happy New Year to you, Mark! Thanks for the best weather web site! I thoroughly enjoy reading your detailed blogs. Wasn’t it a couple years ago, that at least when it comes to the Ski Season, it was a bust until March, when they got 6 feet of snow in 10 days and everything changed from a drought scenario to above average? Can someone help me out here? Last year January was extremely quite weather wise an the ski resorts were open, but waiting for some fresh snow. Then February-May happened and the mountains got dumped on. 2003 might be the year you are thinking of…I remember we called it the March Miracle. 2003? That long ago already? God, I feel old. Seems like just a couple years ago. In 2007 we had a huge dump of snow during spring break. Last year in around the end of February/first part of March (can’t remember exactly when but it was later in the season) we had that big snowstorm that struck only Cowlitz County where we ended up with a foot in one day. Somewhere in between those two years we had signficant snow in end of March/first of April because we had taken our studs off and were stuck at home for about a week. It seems winter weather the last 7-8 years has not really gotten started until February and then lasts into April. 2003-2004 was the big snow with the ice storm afterwards. I can’t remember what month that was. In 2007 or 2008 we had three feet of snow on the ground for Christmas and the kids were out of school for three weeks instead of two for Christmas break. I know the weather this direction is different than the weather in the Portland area though. I believe that the year we had ‘THE SPRING BREAK QUAKE” was a good year for a late winter. A little foggy, but wasn’t that March of1992? I remember a really decent amount of snow in the first week of March, then we had the quake later that month??? @Garron, the “Spring Break Quake” was on March 25, 1993. Strange I have picked up a noticeable north-east breeze here. It’s not strong, under 10 mph so far and the humidity has yet to respond etc. But considering the gradient is still sub 2 mb, it’s interesting. 33 here with 96% humidity. Looks like a couple other surrounding stations are also starting to see a NE wind. Finally cracked freezing here. I see the high clouds from the next system are already approaching. That’s what I thought when I read Mark’s post. The high clouds are already here. Real GOLU model action. So does that mean all the moisture on this infrared is going elsewhere?? Latest models show some rain between 8pm and 3 am tomorrow. Maybe a couple of tenths of an inch. I see some -40s and -50s in Western Alaska this AM. Hi everyone I am wondering when the new weather models come out like the GFS,EURO ect. 3. How long it takes your provider (including NCEP) to pick up the data and produce graphics from it. Thanks Jory (Sandy), great info! Went out early this morning to get some stuff from store. Albertsons parking lot on Barnes was very icey and roads in west hills had ice. Saw a small SUV that had hit some ice on Cornell and was on side of road in a small ditch. Pressure gradient has now switched to offshore. Not sure why I’m up so early. I have to close tonight and open tomorrow…yuck. I feel your pain! I have to go in tonight and start inventory at midnight! Garron where do you work? I’m assuming it’s down an embankment. Wreck at 219th and 29th ave.
28.7 here and the roads are a sheet of ice! Be careful out there this morning! ‎6z GFS may be the best run yet in terms of the overall pattern. From 1/10 through the end of the run, 6z shows a nearly ideal 500mb pattern setting up with very amplified blocking offshore (1032-1049mb) giving us a northerly flow with several low pressure systems dropping down throughout that time period after the initial shot of cold air. Now obviously this is still about 10 days out, but at the least the overall pattern is trending towards a colder solution, and there seems to be quite a bit of model consistency on GFS for something this far out. And while I’m still hesitent to really jump on anything yet, there is alot of consistency with the overall pattern features especially the formation of the offshore ridge and how it orients itself. In a word 6z is downright crazy… Now is it going to be the solution? I highly doubt it at this point, but who knows. Right now the trend is towards a colder solution, and this run is a step in the right direction for sure, because 00z was just as consistent with the amplifacation of the ridge (as with the past several runs), the overall pattern on 00z was just a bit less favorable, but still really solid. I like Mark’s comment above about upper-level ridging and winter forecast busts. The reason is that December and January are more “core” winter months than February and March are. Kind of like this past summer: even if the early September omega ridge had reformed a couple extra times in late September and early October, bringing with it highs in the 80-95 degree range (depending on location and exact time of year), it still wouldn’t have turned our cool summer into a hot one, because we define summer as June 1- Aug 31 in the weather world. Enjoy while you can…the Fright Fest is coming! No Drinking and Blogging…with that I have nothing left to say..Haha Happy New Years everyone!!! Be safe. nobody else around I guess. everybody have an excellent (and safe) new year! wow was I really first? where do I pick up my prize? I’ll take a week or three of great looking model runs please, snow, cold and a nice touch of east wind. Please oh please deliver for once, no more dodging the stupid bullet. the big “B” word huh Mark? It has been a very sad winter so far that is for sure. Here is to great things ahead and a great 2012!